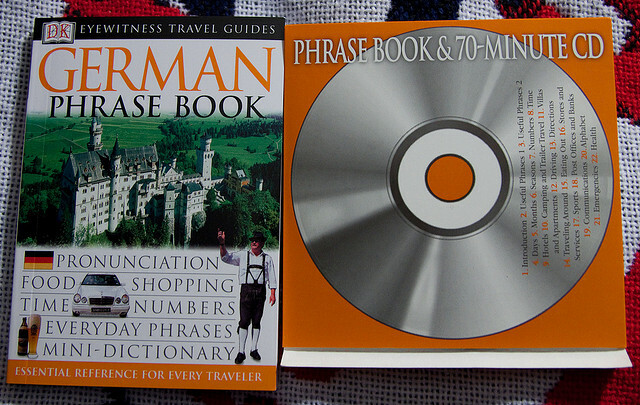 Well, the last time I updated you on my journey to learn the German language was in April. Luckily I did not make any promises which I yet again failed to keep. Instead I just listed the shame of previous promises I had made. You will be happy to read, however, that I have made a teeny tiny bit of progress since then. It has just been a matter of one step forward, two steps back. I learned that free German lessons were being offered weekly by my work place. Yay! I joined and it lasted a grand total of 4 weeks. The teacher quit and they have not found a replacement yet. Those 4 weeks did benefit me in that I feel like I improved my skills a bit. Other times the classes just frustrated me and made me think I will never have even a minor grasp of the language. Here is an example of the type of book I have not been reading. Photo via FlickrCC. I also got stuck into the Duolingo app which I use at least five times a week. If you are having problems making words stick in your head, I certainly recommend giving it a try. It has been updated over the last weeks and now you can challenge the computer or people online. Everything else was a failure. I did not try to learn from books, I did not get a tandem partner and I did not speak German with friends. A mix of laziness and self-defeat played a role here. I am heading out and about this weekend though and will try to converse more in German. A few beers should help that along. Any other tips that do not involve alcohol would be very much appreciated.